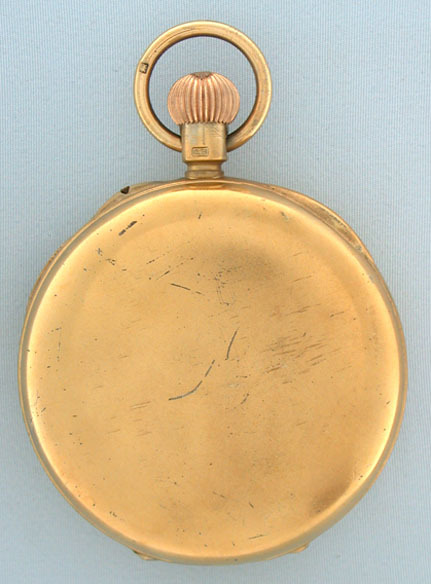 Fine and scarce silver gilt English 52 minute karrusel antique pocket watch by Wright & Craighead circa 1896. 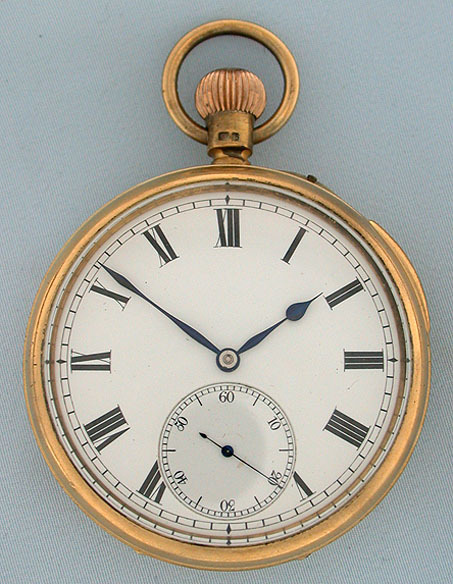 Fine frosted gilt 3/4 plate 16 jewel movement. Fine white enamel dial with bold numerals and blued steel hands. Frosted gilt silver case with the admiralty broad arrow on the dust cover. The karrusel is similar to the tourbillon, but with the carriage driven by the third wheel, not the forth wheel. Like the tourbillon it was designed to eliminate errors of timekeeping in the vertical positions. It consists of a rotating carriage carrying the escapement with the balance in the center. The karrusel mechanism is stronger and less delicate than the tourbillon. 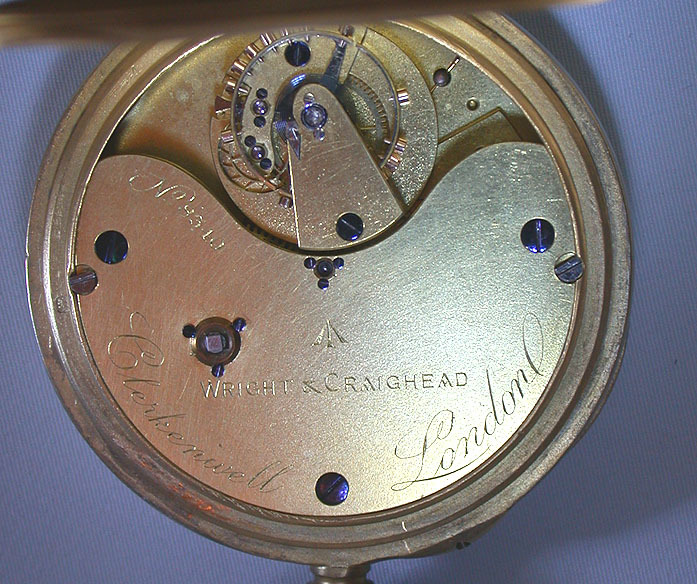 It was invented in England by Bonniksen in 1893, and this watch is marked with Bonniksen's patent under the top plate. 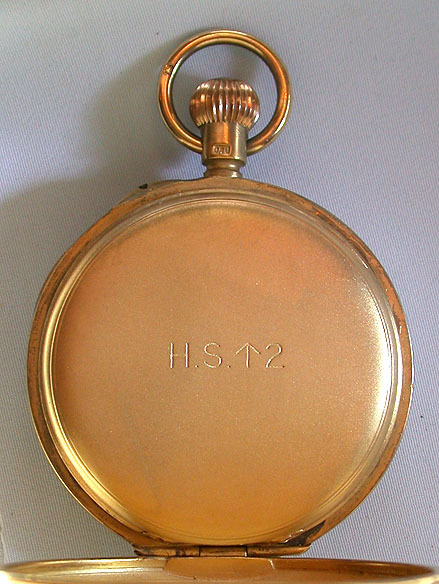 "HS" on the dust cover indicates that this watch was used by the British Admiralty Hydrographic Stores and the "2" indicates a chronometer grade deck watch.